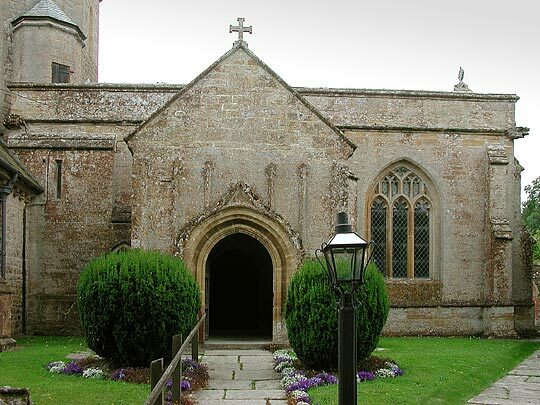 A picturesque sight from the village, with its group of N transept, N porch, and crossing tower. Essentially C13. 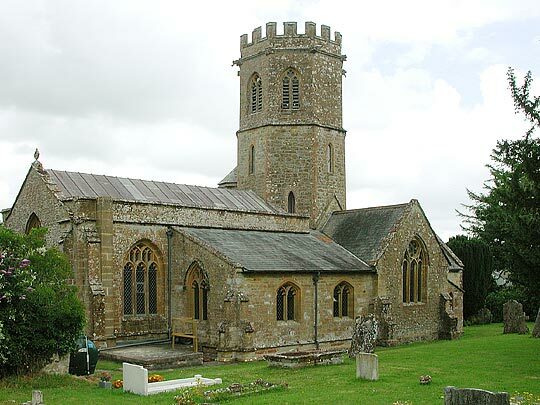 To this belong its crossing tower, see its inner arches (double-chamfered, no capitals or imposts) and its lancet windows. The top parts added in the C15 (two-light bell-openings and battlements). 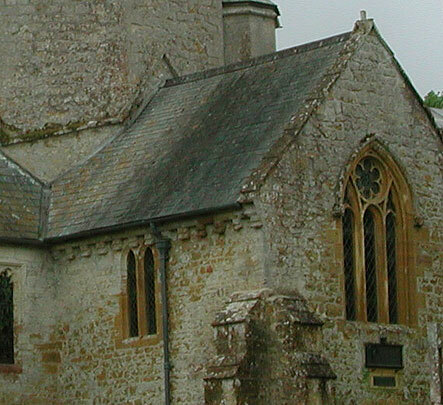 C13 also the transepts (see e.g. the corbel table). 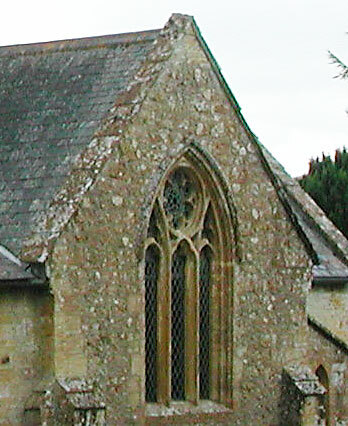 The S transept S window has typical late C13 tracery (three lights, the first and third lancets, the middle one lower with a large circle above which is six-foiled). ... Perp nave. Perp N porch with ogee gable to the doorway and several thin triangular shafts above. 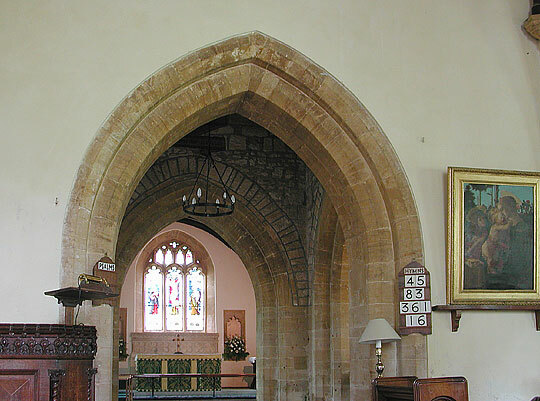 Well-moulded doorway. 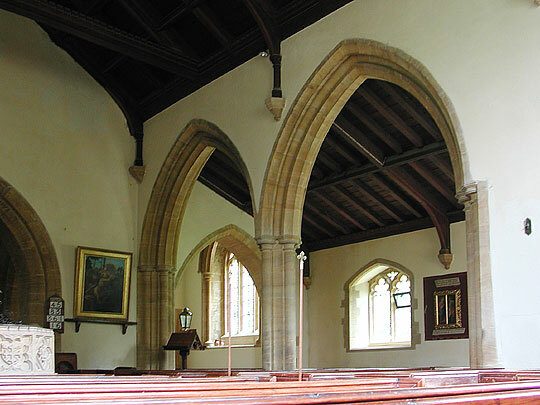 S aisle of 1860.